I just love subscription boxes! Each month, delivered to your door a treasure just when you need it most. Square Hue is a nail polish subscription box that contains three preselected colors based on the month's theme. These are three full size, premium nail polishes for just $14.95 a month. You can cancel your subscription at any time. Each month there is a color coordinated theme to go with the season, so you will always be on the cutting edge of fashion! I was able to review 7:13 the Salute Collection with three nail polishes named Valor, Honor and Patriot. You know how very important that is lately if you have been keeping up with the latest skin care reports! The colors in the set go together wonderfully! I love the rich color, and the safety of the nail polish. "A portion of monthly subscription proceeds are donated for prevention awareness, the protection of victims and the prosecution of traffickers. It’s simple, you get marvelous nail polish delivered to your door and we donate to organizations involved with combating human trafficking. We believe that together we can make a difference. You get, Hue gives." Love that they are giving a portion to woman who are in dire need to be set free. What an awesome platform to work with to help woman regain their beauty and independence. This has been heavy on our hearts since Jan when my son went to a Passion conference and the focus was human trafficking. 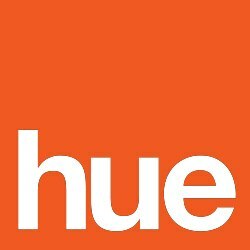 Thank you Square Hue for giving back! September's box is themed Serengeti!! Sign up now so you don't miss this great sounding collection! Enter to win the Serengeti Box from Square Hue!! Brown and Tan....maybe black and white for zebras, haha. Burnt orange, olive green, and a brown. vivid reds, gold, and oranges. It makes me think of a burgundy color!